Martha Berry is asking the superintendent to place a girl from Berry in the institution. 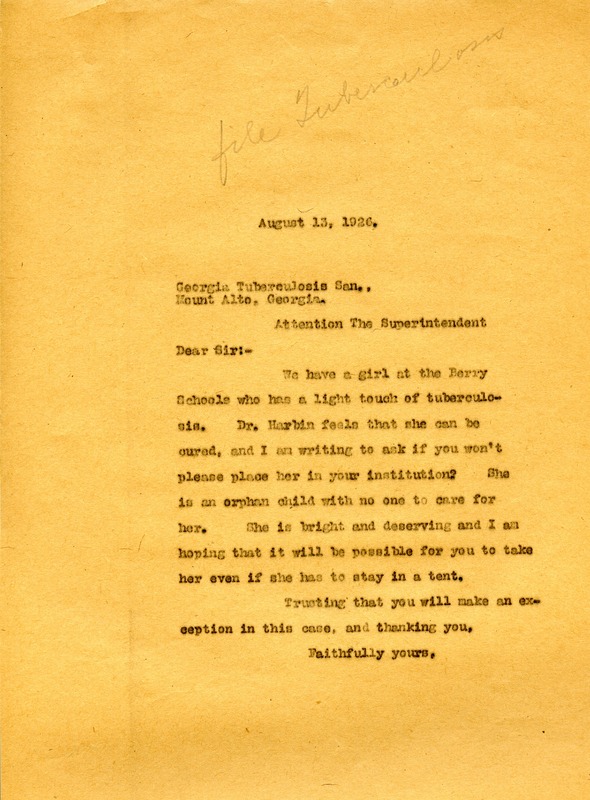 Miss Martha Berry, “Letter to the Superintendent of the Georgia Tuberculosis Sanitorium from Martha Berry.” Martha Berry Digital Archive. Eds. Schlitz, Stephanie A., Chelsea Risley, Alan Henderson, et al. Mount Berry: Berry College, 2012. accessed April 25, 2019, https://mbda.berry.edu/items/show/3476.